Going from village football to the national team is a rare experience which isn’t offered to just anyone. But that is what Patrick Taroga, Lino Houairia and Junior David are currently living as they compete in the OFC U-19 Championship in French Polynesia this month with the Solomon Islands U-19 team. 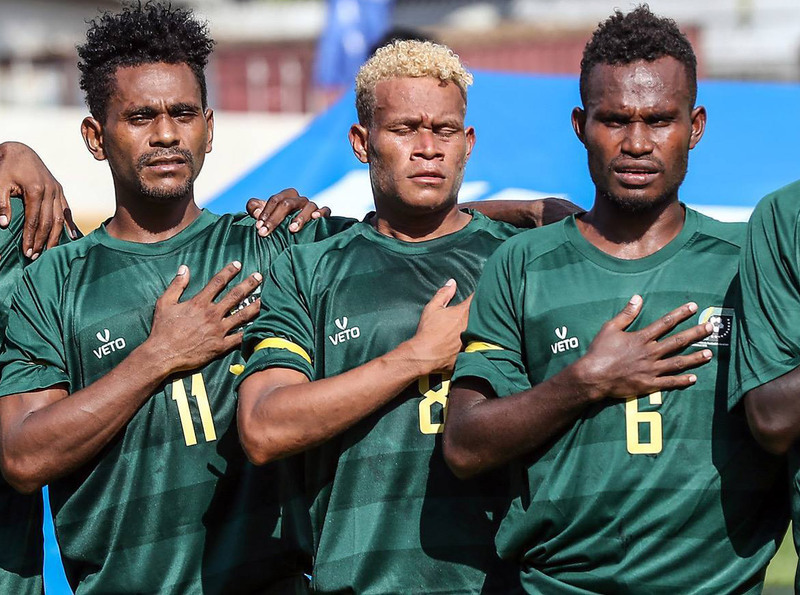 Their opening match didn’t start as expected with the Solomon Islands finding themselves a goal down within the first 20 minutes, however David and Houairia helped get their side back on track when they combined in the 41st minute for the equaliser. Houairia said scoring the opening goal of the campaign for Solomon Islands was a historic moment for him. “I couldn’t believe the feeling I felt after the scoring the equaliser, it was my first competitive goal in a national jersey,” the Are’are lad said. “Thank you to my coaches, teammates and family back home for the support since day one. “I am living my dream of playing for my country and hope we will go further in this tournament”. David, who played an equally important role in the opening match, insisted his performance all came down to hard work. “I have been working hard for the last five months preparing for this tournament, coming into this tournament we were told give to everything,” he said. “I was thinking if ever there was a moment we needed to give everything we’ve got, this is that moment to give everything for our country. Like Houairia, midfielder Taroga was outstanding throughout the 90 minutes against their rivals. He displayed self-confidence when striker Ali Makewir was brought down in the box for a penalty in the second half, and with the score locked at 1-1 he picked his spot to put Solomon Islands 2-1 up. “For me it’s my first time to be playing in such a tournament like the this OFC Championship,” he said. “I don’t have experience playing on this level, but I gave it my all to help the team. The native Are’are lad is one of the two U-19 players called up to join the national senior men’s team for the friendly match against Macau scheduled for later this month. When asked what it feels likes to earn the call, Taroga insisted it’s a dream come true. “I think making the national team is a dream for any player in the Solomons. “For now I need to focus on the U-19 tournament first before switching attention to the national senior team. Other provincial-based players making their debut against New Caledonia were Frank Kabui, Anthony Rasau and Henly Ramo.